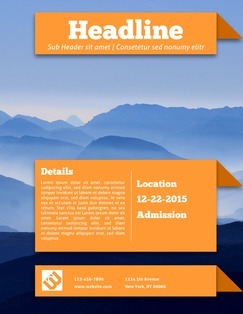 Free Poster Maker - Design Posters Online [18 Free Templates] . ', failHtml: "
Lucidpress is a professional poster maker anyone can use. With a library of templates and a drag-and-drop interface, you'll have an attention-grabbing poster designed in no time. Need inspiration? Our free poster maker has a wide selection of complementary and premium poster templates to help you get started. Our template collection is sure to meet whatever needs you have. 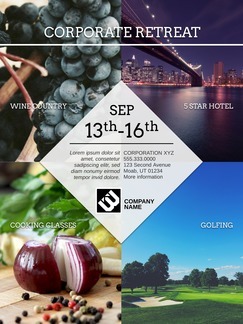 Want a business poster that looks clean and professional? We have you covered. Looking to have some fun at a party by creating a wanted poster from the Old West? We have that too. With so much to choose from, you’ll quickly turn into a skilled poster creator! Everything made in Lucidpress you can print, publish online, or shared through social media with the click of a button. Whether you're sharing your custom posters or designing a new project, Lucidpress will help you get the word out. Why not impress friends and colleagues with your newfound creative skills? Lucidpress was built with you in mind. With a drag-and-drop editor and other easy-to-use features, you'll be amazed by how quickly you're able to lay out a sleek finished product. There’s no need for long, complicated tutorials or weeks of training. All of our tools are intuitive, turning you into a natural creator even if you don’t have much experience. For once, powerful doesn't mean complicated. Lucidpress eliminates the learning curve of traditional layout and design software, so both new and experienced designers will feel right at home. Create poster designs using your own images along with a wide variety of fonts, graphics, and icons. 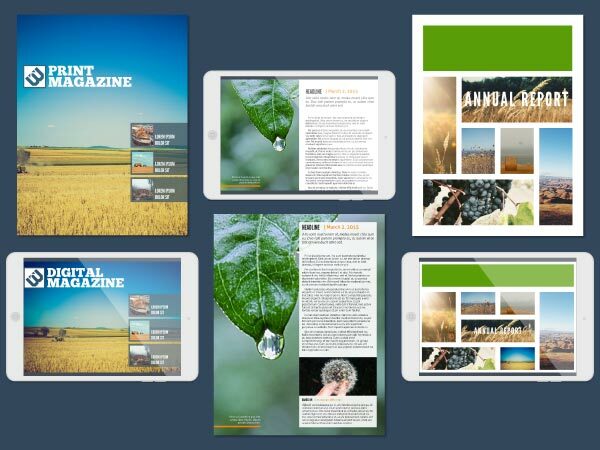 Lucidpress removes the learning curve of traditional layout and design software. With our poster maker, free posters are only a few minutes away. 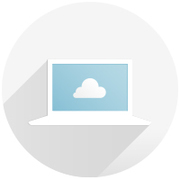 Say goodbye to the hassle of desktop software. No more outdated versions, corrupt files, or back-and-forth between your work and home computers. Lucidpress is free, online, and just a click away. Drag and drop simplifies the whole design experience. With our intuitive editor, you can easily lay out text, photos, shapes, and videos for professional and stunning posters that are sure to impress. Lucidpress integrates with your favorite tools to put content at your fingertips. 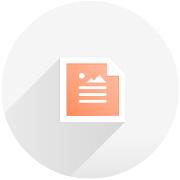 Transfer text from a Google Doc, embed a YouTube video, or insert photos from Dropbox, Flickr, and Facebook. 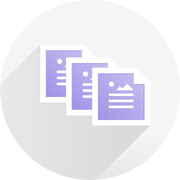 Easily export your Lucidpress creation as a PDF, JPG, or PNG, depending on your needs. Share on Facebook, LinkedIn, Google+, or try embedding on your own webpage. Posters are large print documents designed to grab attention. A few standard poster sizes are 11” × 17”, 16” × 20”, 18” × 24”, and 24” × 36”. 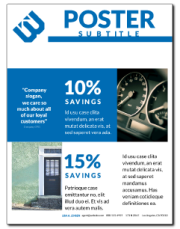 You have flexibility in choosing the size of your poster, depending on whether it will be on a corner lightpost, the break room, or a school bulletin board. All of the poster templates in Lucidpress are set to 18” × 24”. Your audience needs to take in the message of your poster at a glance. Choose your alignment—left, centered, right, or justified—and apply it to your headers, photos, text, and shapes. 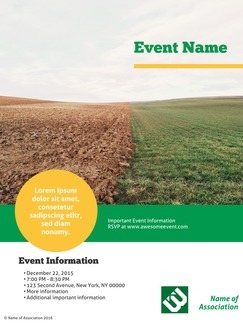 Unify the elements of your poster by aligning objects and text. This will make the poster feel coherent. Text is often centered, creating a sense of symmetry. Photographs and other graphics can visually communicate a message in ways that words can’t. Have a balance between text and images that complement and relate to each other. 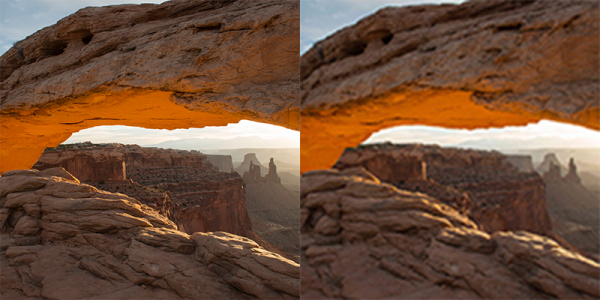 With larger posters you will want to make sure you have the highest-resolution version of the photo possible. Don’t upload low resolution files of photos, otherwise your printed poster won’t look its best. Use photos which have been saved at a minimum of 300 pixels per inch at poster size for printing. Posters are designed to grab attention. A good eye for color can direct your audience to the core parts of your message. Choose colors that complement your photographs and your message. For example, if you are advertising a farmers’ market, the color green can evoke freshness and nature. A poster can make a big impact even with a limited color palette—too many colors can distract from your message. Black and white posters provide good legibility for simple posters. 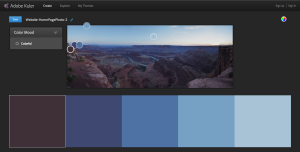 There are several tools online to help you choose a color scheme, including Adobe’s Kuler. This tool lets you upload a photograph and select complementary colors to use in your background or text. 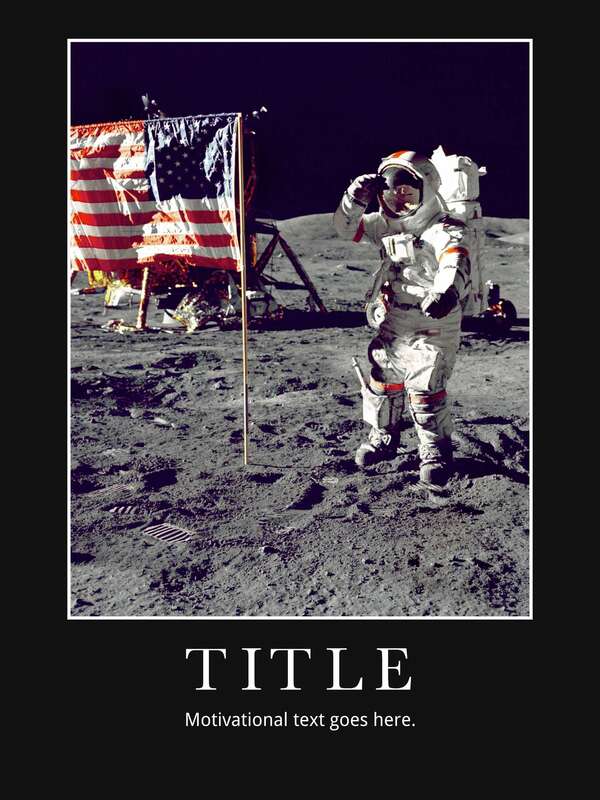 Keep your headers and titles simple. 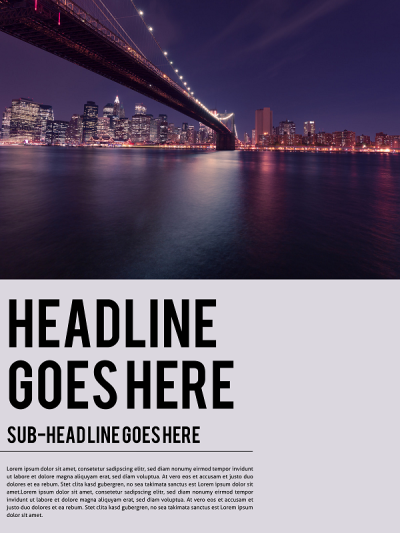 Use a larger font size for headers, which helps you determine the first thing your audience sees. Grab your audience’s attention with contrasts in font sizes, style, and color. 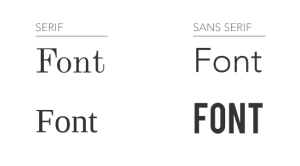 If using multiple font faces, choose ones that are different enough to look deliberate. As a rule of thumb, don’t use more than two font faces in a document. Use font weight (bold) to differentiate sections of text. The use of ALL CAPS and italics also draw attention to particular points of a message. Keep text limited to your core message so your audience knows What, Where, and When. Ready to make your poster? Posters aren’t simply advertising tools: the best poster designs become works of art. Whether you’re creating a poster for a movie, a party, or to decorate your home or office, Lucidpress has the templates you need. 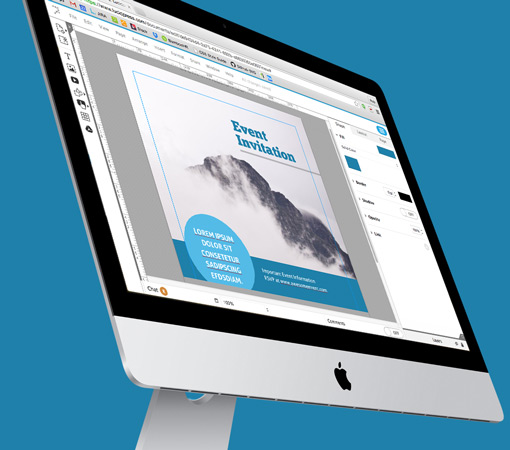 The Lucidpress editor is intuitive enough for a beginner but customizable enough for advanced poster creators.